Commercial & Domestic Window Cleaners Brent Cross NW11 | RDA Cleaning & Maintenance Ltd.
We are an expert window cleaning company in Brent Cross NW11 and offer quality services for both residential and commercial customers. Out Insured Professionals do their very best in providing you with the highest quality performance at an affordable price. RDA Cleaning & Maintenance Ltd.’s purpose is to reach as far as possible and to provide best window cleaning services for the entire London. With years of experience behind its back, the window cleaning company offers will not only leave you with a sparkly clean view but our benefits will also make sure to leave you satisfied with the overall experience. So why don’t you give us a call at 020 3404 1646 or use the online booking form? So that we can be on our way to do the job we love. Our Top-Rated Window Cleaners Brent Cross NW11 Are By Your Side 365 Days A Year! 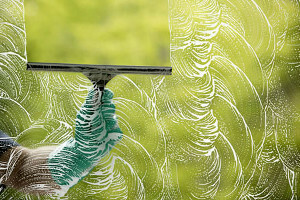 Our expert window cleaning cleaners Brent Cross NW11 can clean all window types. You can arrange the service in a most convenient for you time. We do not extra charge you either for the weekends, or for the national holidays. You can be out of the property during the procedure. We will need spare key only if you require some window cleaning from the inside or PVC sills wiping. If you order only window cleaning from the inside, we only need some parking space where to park the van with the innovative pole-based system. The rest is our job. Know that if you are not satisfied with the final result, you can contact us back within a certain period. The window cleaning service is insured. And we also cover the eventual damages and losses. The risk of handing from high buildings is not the only secured measure we provide. We have also excluded all the classical toxins of the sanitizing procedures today. Our comprehensive domestic & commerical window cleaning Brent Cross NW11 service does not use any liquid detergents, toxic products or oil-based remedies that might spoil the windows. We sanitize the windows with ordinary purified water. Thus, no streaks or spots remain on the windows, but they still get shiny and sparkling clean. Keep in mind that if sill are reachable enough, we clean them, too And if required, the enthusiastic window cleaners will wipe and brush the windows from the inside, too. Get the ladder aside and let our hygiene experts to handle window cleaning in Brent Cross NW11 Get a free quote now! Book our sophisticated window cleaning services today! Call us on 020 3404 1646 phone number and make a quick reservation at competitive price! You can also make an order via the online booking form!